In 1964, actor William Bogert was asked by Lyndon B. Johnson’s campaign to read a script that coincided with his political views; and in filming his script he also improvised with some of his own views as a Republican about his party’s candidate Barry Goldwater, and about the coming election. As with the “Daisy Girl” ad, the language of this ad, the frustration of a conservative with his party’s flirtation with extremism and hatred, and the comparisons between Goldwater and Trump, all present a unique opportunity to revisit history by using this ad, or one very much like it, to prove that Trump’s extremism and immaturity disqualify him completely from holding any political office, let alone the presidency. Vote Democrat in November. The stakes are too high for you to stay home. The “Daisy Girl” ad was one of numerous political ads used in 1964 by Lyndon B. Johnson’s campaign to target Barry Goldwater’s extremism, war-mongering, and xenophobia (not to mention the KKK’s love for him – any of this sound familiar?). However, by modifying names and dates for the 2016 election, they also provide the perfect message for Hillary Clinton (or whoever will be the Democratic nominee) to use against Trump. This ad in particular, reminding us that “we can love each other… or we can die,” fits perfectly into Clinton’s “love and kindness” response to Trump’s casualness toward using the nuclear trigger. On Friday, February 5, 2016, Spark! joined with the Michigan Democratic Party and other groups in supporting the relief drive in Flint, Michigan. The Red Cross Blood Donation Center (1401 S Grand Traverse Street) has been dispatching volunteers to various local charities, churches, and other organizations to provide water and other supports to residents affected by the water crisis. They provide water directly to houses, and also maintain drive-through water pick-up locations, where drivers can simply pull up and have cases of water, and/or gallon jugs, packed into their car. I participated in one such activity for several hours at one of Flint’s Center of Hope locations (at 517 E 5th Avenue), along with various people volunteering from other organizations (in the picture above, for example, a couple of the volunteers are US Navy recruiters). We unloaded pallets of water from a truck brought to the site; and packed cases into cars, vans, and trucks as they rolled up (four cases per adult in each vehicle). We also received a large number of water donations (sort of a “take some water, leave some water” activity). Many of the volunteers (myself included) also brought some of their own water donations as well. The Red Cross in Flint can be reached at (810) 232-1401. They operate volunteer support teams seven days a week, mostly from 9:00am – 4:00pm. Please come and help them. You can read more about how this crisis occurred in Part I of my “Special Report: Flint in Crisis”; and about what Flint needs (and how to help) in Part II. You can also read a touching story about the human impact of these events that I re-blogged from another writer. Headline image © 2016, Sparkpolitical. All rights reserved. Less than a month away from the opening of the primaries and caucus season (beginning with the Iowa caucus on February 1, and the New Hampshire primary on February 9), NBC News partnered with Survey Monkey to release their first tracking poll of 2016. The raw data of the tracking poll reveals a predictable separation of poll respondents from political reality within the Republican camp, and a far more sobering touch of realism from potential Democrats. The Republican results in the poll clash dramatically with the picture from within the party machinery, where the actual nomination process will largely take place. While the bulk of the decision will be made through the primary and caucus process, a reliable indicator of nomination potential is endorsement by the “superdelegates” (major Republican leaders in the party, state governments, and Congress). Trump has yet to gain a single endorsement (out of the sum total of over 180 committed thus far). Bush, faring meagerly in the polls, is still at the top of the machine’s food chain, with 46 endorsements; Rubio is running second with 38, and Cruz is down in seventh place with 12. If either Cruz or Rubio pulls out of Iowa in strength, they can leave with both state party delegates and further superdelegate endorsements in their pockets. Ultimately, tracking polls show who is winning the struggle for the American sitting at home. The primaries will determine the victor in the struggle for the American going out to vote. Meanwhile, back in the Democracy, Clinton got 53% of her party’s supporters; with Sanders running at 36% and Martin O’Malley running a consistent 2%. While overall Republican “certainty” about their candidate for the primary ran 38% (with “large chance” respondents at 40%), Democrats were somewhat more stalwart about their chosen favorite; with 48% “absolutely certain,” and 33% in the “large chance” group. While Sanders supporters largely looked to Clinton as their second choice (30% of the party seeing her as such), Sanders’s result at 31% (barely beating “Don’t Know,” who so far seems to be running a strong campaign in both parties) indicates that many Clinton supporters are looking to O’Malley as the horse to back at the convention if Clinton flames out. As with the Republicans, the endorsements picture shows an even simpler reality. With almost 460 party “superdelegates” having endorsed a candidate, Clinton has a virtual monopoly on the party machine, with 456 endorsements. Sanders has only two; and O’Malley has but one. Ultimately what this poll shows is that, without any endorsements, primaries, or caucus votes being considered (the actual mechanism by which candidates will use to win – or lose – the nomination), the poll respondents at least expect a Clinton-Trump race; with Clinton holding a strong edge over the erstwhile Republican front-runner. Following a series of terrorist attacks in the Middle East and France, national security has become a vital issue in the continuing contest between the Democratic and Republican parties for the hearts and minds of the American voters. Americans were particularly shocked by the Paris attacks, in a city seemingly far removed from the conflict zone of the Middle East, and especially considering the long and close relationship between the US and France. Reacting with an almost post-911 frenzy, American pundits and social media commentators ratcheted up the panic level to maximum. Seemingly reading the temperature of frightened Americans, the US House of Representatives pushed through House bill 4038, restricting the entry of Syrian and Iraqi refugees to the US. Numerous state governments also issued arguably illegal restrictions of refugees to their own states as well, ignoring increasing evidence that refugees in France were not involved in the attacks (perpetrated by French and Belgian nationals), and contradicting France’s own immediate response of welcoming even more refugees. 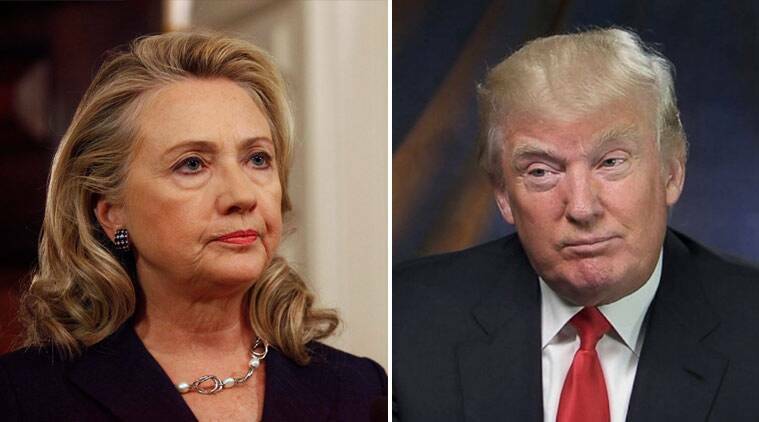 As the election year draws ever closer, American voters will consider the two major parties’ (and their candidates’) responses to terror and their positions on national security policy. First on the radar screen at the moment is Daesh (or the Islamic State; the author prefers the former term particularly as the group finds that term to be offensive to their image), the group behind last week’s terror. Sadly, neither party has a cohesive plan (let alone an exit strategy) for pursuing war, with both parties apparently employing a “one-piece-at-a-time” chess-game strategy. Candidates from both parties are reluctant to engage in another seemingly indefinite ground war, and the complexities of the Syrian civil war perplex the candidates on all sides. Trump, Cruz, Bush and Christie (and Clinton on the Democratic stage) all urge a greater use of US airpower (most unrealistic is Trump’s focus on destroying oil facilities, which are of only minimal value in petroleum-poor Syria). Trump and Carson both urge a greater ground effort in Iraq (containing Daesh to Syria, though neither candidate is willing to use the term “containment” to describe their strategy). Bush has, since the latest wave of attacks, begun to favor the use of ground forces, but has not specified where or how, or how many, or with what objectives. Paul wavers indecisively between calling the use of ground forces “unconstitutional,” and stating that he would use “…overwhelming force. I wouldn’t mess around.” He is as devoid of details as Bush, however. Kasich favors invoking Article V of the NATO agreement, to “take care of business and come home,” but also has not said how either the deployment or the coming home would actually work. Finally, Sanders, still trying to maintain relevance against Clinton’s rising popularity among Democrats, calls for a new, greater coalition (including Russia as well as the Muslim states of the Middle East). Sanders, however, has not been able to explain how to defuse the increasing hostility and suspicion between the US and Russia. With Russia bombing anti-Assad groups who have been aided by the US, there is much to do if Russia and the US are to work together instead of seeing the war as a zero-sum conflict between themselves. No one on either side of the partisan divide has successfully addressed that issue. Another issue of the Syrian war is the status of refugees seeking to escape the war zone. On this issue, the parties have spelt out their differences far more prominently. Republicans pushed through the House bill, and most of the state efforts to restrict refugees have come from Republican governors. Republican candidates have said little to oppose restrictions, and have even called for “religious tests” denying Muslims refuge in favor of Christians. Trump has even echoed Nazi racial programs by calling for the “registration” of Muslim refugees. Sanders and Clinton have both (in league with President Obama) attacked such as un-American and un-Christian; and that argument has resonated with the evangelical community (normally a Republican stronghold). Various commentators have linked Republican language of restrictions to Daesh’s specific goal of dividing America from the Muslim community, calling the Republicans out for surrendering in one fell swoop the terrorists’ most immediate political objective. Taking the bipartisan confusion about the Syrian war together with the clear partisan divergence on the greater philosophy of conflict and engagement, we can define a reluctant tendency of a few Republican hotheads to push for a greater “imperial overreach,” while most candidates agree that a new war may simply not be in our national interest. The Democrats, while being only slightly more (but questionably) reasoned and willing to lean on allies and other powers, see a clear link between the pursuit of war policy in the Middle East and maintaining our “shining City on a Hill” through one of our most American and liberal values, the compassion for refugees seeking a better life in a civil society. Republicans are more willing to sink to the lowest common denominator of popular suspicion and resentment of the “Other,” and choose to empower themselves in a confusing conflict by taking power from those seeking asylum. As with so many other issues, the Democrats’ approach seeks to build the City on a Hill; whereas the Republicans want only to wave the flag while denying its true meaning and value. The Democrats’ approach also de-emphasizes the military aspect of the conflict in favor of the greater political conflict, while the Republicans confusedly wallow in the mud over tactical military problems without a greater appreciation of the politics driving the issue. Iran is another issue more cohesively dividing the parties, both as an actor in the Syrian war, and as a power seeking a greater role in regional affairs. All candidates recognize that Iran and Daesh are inherently opposed to each other, but they also fear what an increased role for Iran in Syria would mean for Israel, Lebanon, Iraq, and other regional states and issues. Clearly as the US looks to regional states to step up and defeat Daesh, Iran’s massive and well-equipped military poses as a major potential ally; but a sudden US-Iran relationship could not be formed from that foundation alone, particularly as long as Iran and Israel both remain inherently hostile to each other. As with Russia, Iran shows something of a zero-sum game approach to the conflict, with an Iranian defeat of Daesh as not necessarily in the strategic interest of the US (and with Iran viewing a potential US defeat of Daesh through a similar lens). Neither US political party has developed a viable pathway to a US-Iran partnership on Syria. Iran’s search for greater regional power and relevance further conflicts with American security policy on the nuclear weapons issue. Flanked by a hostile, nuclear-armed Israel to one side, and a hostile, nuclear-armed Pakistan to the other, and faced continuously by US naval forces in the Persian Gulf (themselves obviously backed by a massive nuclear deterrent), Iran has obvious motivations for acquiring a nuclear weapon. Such a capability would force the US to use greater reflection before employing its military forces against Iran, and could theoretically increase Iranian prestige in the region (albeit also triggering a regional arms race, as Iran’s other regional rivals would seek to acquire their own nuclear deterrents). The US, wishing to keep its military options on the table (and also fearing a potential Israeli-Iranian nuclear exchange), wishes also to keep Iran from getting a nuclear weapon. This issue has driven the past year’s antagonistic partisan debate over the Joint Comprehensive Plan of Action (JCPOA) and related agreements, by which Iran has agreed to surrender the vast majority of its nuclear weapons production potential (in both its on-hand materials and its processing capacity). Republicans responded to their growing irrelevance in international politics with alarmist misrepresentations of the agreement (relying on their supporters’ reluctance to read 160-page technical agreements). The Democrats, on the other hand, were able to brush aside Republican arguments, although they did face some difficulties over Republican accusations regarding “secret language” in the Additional Protocols. Nevertheless, the Democrats secured a victory both internationally as well as domestically, in first pushing Iran to the peace table (through Clinton’s construction, as Secretary of State, of a rigid international sanctions environment), and second in getting the agreement approved over the opposition of the conservatives of both nations. Another major security problem for the US is Russian expansionism. Republicans have scored points by recalling Obama’s 2012 criticism of Mitt Romney, telling the governor that US-Russian conflict was a thing of the past. Sanders hopes in effect to prove Obama right by developing a more productive relationship with Russia; but has not indicated how he would make that happen. The Republicans dither between Trump and Fiorina imagining themselves using their corporate boardroom experience to build a better relationship (disregarding the historic lack of success that American business leaders have had in using business strategy in international politics), and Carson’s details-free “position of strength” exhortations. Clinton is the only candidate with actual experience in negotiating with Russia and Putin; although her track record there is a combination of both successes and failures. Otherwise, Republicans do not actually say what they would do differently from each other, or from Obama. They attack Obama as somehow impotent in the face of Russian expansion into the Ukraine and Syria; but they ignore their own party’s failure in preventing or halting an actual outbreak of war between Russia and Georgia in 2008. They have offered no actual solutions not already explored or implemented, only insisting that their sheer Republicanness would somehow force Putin to back down (despite the fact that that did not work the last time they tried it). The Democrats, with Sanders’ vague intent to partner with Russia, and Clinton’s actual experience in doing so, therefore show a modest superiority over the Republicans, who seem more confused and torn over what to do (and over how to frame a campaign statement about it). Finally, the Democrats claim a right to a major national security interest that the Republicans have traditionally denied en masse: the threat posed by climate change. A few of the current flock of “clown car” candidates, however, see the issue as an arena in which to grab moderate American voters, and so the GOP’s diversity on that issue has grown. Trump, Huckabee, Cruz, and Carson are still flatly in denial; while Fiorina, Rubio, and Paul are willing to concede that something freaky is happening, but all demonstrably oppose any government action to limit or reverse the process. Kasich, Christie, and Bush all recognize climate change as the real result of human actions; but they only see the need for the most limited of government action to curtail the problem. Clinton can also be shown as having only limited commitment, having (while serving as Secretary of State) pushed fossil-fuels development as a key to foreign states’ overall energy independence; but her language is far more hawkish and she supports the president’s Clean Power Plan. She may well have been steered to the left by Sanders’ more inflammatory language (describing climate change, at least before the recent wave of attacks, as the greatest threat to the US). Martin O’Malley has fought for relevance from his single-digit approval ratings by in part pushing a far more detailed and comprehensive Clean Energy plan than have either of his Democratic rivals. Both parties have therefore used the issue not merely to hammer the other party, but as an in-party arena to attract different political constituencies. However, across the board, the Democrats have called unapologetically for greater action, while the Republicans’ most “radical” elements call simply for limited action at best, preferring to rely on private corporations’ good will to accomplish energy transformation and ecological protections. The most popular Republican candidates fall on the flat denial side (although collectively those “most popular candidates” still poll at less than half among total Republican supporters). Overall, the Democrats continue to be the party most willing to pursue actual reform on environmental and energy policy. The Democrats can lay claim, therefore to being the US’s “National Security Party,” having by far the more coherent view of American security interests, as well as potential solutions to current problems. Neither party really has much of a vision for Syria; but the Republican “fire and forget” military strategy applied in Iraq (and which created the Daesh problem in the first place) still remains their preferred alternative. The Democrats see the need for a more philosophically consistent political conflict, between the American City on a Hill and an extremist, deliberately antidemocratic way of life, using our nation’s greatest assets and the power of modern information systems to push Daesh into irrelevance while using limited military efforts to neutralize physical targets as they manifest themselves. The Democrats also have a far better plan (and history) of dealing with Iran, although there, too, both parties suffer from strategic myopia. Even more short-sightedness is evident on the Russian front; but the Democrats have the greater experience and willingness not just to talk but also to listen, a fundamental step to repairing relationships. Finally, on climate change, the Democrats have a much clearer vision of both the scope of the problem and the venue for solutions, a vision far more consistent with the actual data acquired by climate scientists. As we near the start of the election year, the Democrats have demonstrated themselves as the party most capable of facing and solving our most vital national security problems. On Friday, November 6, 2015, MSNBC’s Rachel Maddow moderated the latest installment of the presidential candidates’ debates, the “First in the South” Democratic Forum, hosted by Winthrop University, in Rock Hill, South Carolina. The forum was not a debate, Maddow told viewers, but was a series of one-on-one interviews of the candidates by Maddow, who generated many of the questions herself. The candidates did not, therefore, engage in any direct conversation or exchange, and the forum differed sharply from the most recent Republican installment, the CNBC debate at the University of Colorado. Maddow’s questioning concentrated on serious questions, but also included some lighter questioning to create a friendly atmosphere (including a “meet the young candidate” segment for each candidate, giving them a chance to talk about their youth and their career). The bulk of the interviews, however, saw Maddow pushing the candidates to justify both their views and their candidacy. Former Maryland Governor Martin O’Malley was up first. After evading a question about the Democratic Party’s traditional weakness in the South (since the 1970s), the conversation turned to climate change. O’Malley noted that, “We’re the party that believes in science…,” and he talked about the problem as more of a “challenge and opportunity,” denying the traditional view of environmental reform as potentially job-killing. Instead, O’Malley articulated a vision of energy reform as a job creation opportunity, talked about his Clean Energy Jobs Corps proposal, and advocated cities as the best area in which to pursue green energy. 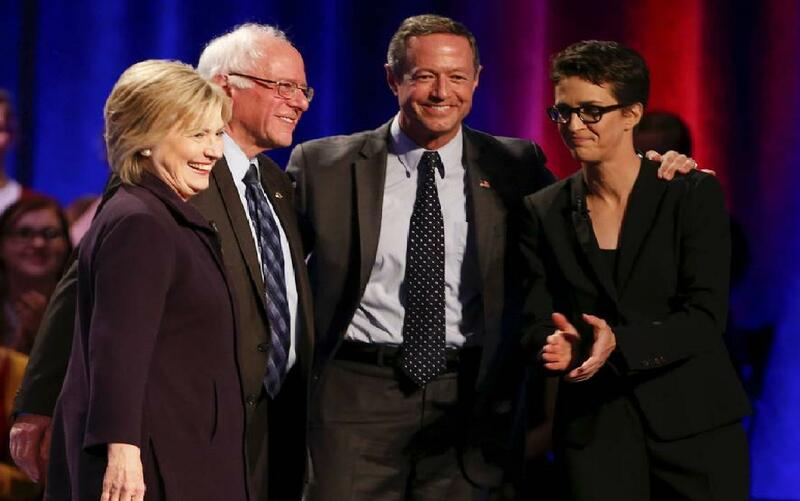 O’Malley shrugged aside Maddow’s suggestion that at least some states might lose both jobs and money were his proposal to turn the energy grid completely green by 2050 to be enacted. Discussing the Black Lives Matter movement, O’Malley asserted that his governorship reduced incarceration and recidivism rates, cleaned the streets of Maryland of drugs, and reduced crime rates, all effects beneficial to African Americans. O’Malley sees the elimination of for-profit prisons as the next step to reduce both prison populations and the legal system’s incarceration mentality. Next up was Bernie Sanders, the formerly independent Senator from Vermont, arguing that his message resonates for all poor and working people, and that despite representing a state that’s 95% white, his civil rights record is unimpeachably progressive. While idealistic, his responses to Maddow’s questions on marketing his Democratic candidacy to southern and black voters spoke less to the realities of lower-class suspicions toward the Democratic Party in the South. Similarly, his responses to her questions about involving the corporations in the reform of the economy and tax structure (especially by moving corporate investment into actual job creation rather than pure wealth concentration) were vague, and centered simply around taxes, suggesting that a Sanders administration might be dangerously confrontational to those powers capable of generating new jobs. Sanders continued to answer vaguely on other issues, such as Middle East policy. He insisted that the “boots on the ground” needed to be regional rather than American, or that American involvement could take place through a venue of greater international involvement, especially by European powers such as Great Britain, France, and Germany. Sanders refused to consider a unilateral American effort, and seemed to falter at Maddow’s questioning about European and regional reluctance to engage. To be fair, O’Malley’s answers were similarly idealistic and vague, and yet Maddow had not pinned O’Malley into a corner on the issue to the same degree that she did with Sanders. Sanders pushed his self-image as a candidate for reasonable gun control, arguing that his representation of a rural state gave him a special appreciation of second amendment rights, but that (despite voting against legislation such as the Brady Bill) he also had worked to improve and increase background checks, and to ban assault weapons. Hillary Rodham Clinton completed the evening, coming out on stage to an explosion of applause. However, the many African American members of the audience looked less than convinced. Maddow’s first serious question asked Clinton about African American reactions to a Democratic stage with only white players, and whether African Americans should feel “left behind” by that reality. Clinton bypassed the question to argue for a “New New Deal,” which would help not only African Americans, but middle-class white voters as well (clearly an answer to speak more to that latter, larger demographic, but which for that very reason cannot be encouraging to the former). Clinton also answered weakly to Maddow’s questioning about Wall Street, repeating her mantra of telling Wall Street to “stop it,” and arguing merely that she is on record as fighting to level the playing field, and that the economy works too much for those at the very top, and too little for everyone else. Clinton redirected a question about having police in school classrooms (referencing the recent ugly incident in Richland County, South Carolina), to the larger issue of economic change, with over half of students now on lunch programs, a key metric for gauging childhood and family poverty rates. Clinton condemned the school system’s vastly greater expulsion and suspension rates for African-American students in particular. On foreign affairs, Clinton waved off Maddow’s suggestion that she is more “hawkish” and aggressive than her Democratic competitors. She argued that as Secretary of State, she had pursued diplomatic solutions and saw diplomacy succeed in creating international progress, especially with respect to Iran (with Clinton citing her work in creating a sanction environment that pushed Iran into a peaceful agreement with the West). Maddow asked few specific questions of any candidate on economic policy and jobs creation, although the candidates were able to get in some vague ideas on the subject. Similarly the three Democratic candidates are all reluctant to use force in the Middle East, and yet they see the area as a key political arena; the forum demonstrated little in the way of clear thinking about alternatives. Another problem area for both parties, the demographics of their own base constituencies, shows an ironic contrast between the Republican Party, fronting both black and Hispanic candidates, and the all-white Democratic candidate pool. With both parties fighting for minority votes, such voters will have to decide whether they are better served by white candidates with more inclusive policies, or by minority candidates breaking key racial barriers but offering little else in the way of overall social inclusion. In any case, the Forum provided the audience with a stark contrast to the CNBC debate, being more substantial (but still with glaring weaknesses on the issues), less inherently confrontational, less dramatic, and more didactic. The Democratic Party’s candidates therefore are better served by this environment than by the more confrontational atmosphere at Denver, and those viewers considering the Democratic candidates now have better information with which to consider their options as the political fight moves on to the next round.